The Lexmark X340 multifunction device is the ideal solution for budget-sensitive desktop users who demand high-speed laser printing, copying, faxing and scanning in a single machine. With its wide flatbed scanner and adjustable lid, the Lexmark X340 is perfect for scanning bound materials, like open books and reports. Use the included software to digitise hardcopy text into editable form, and import colour images into a wide range of applications and file formats. Three seconds or less! That's how fast the Lexmark X340 can transmit a fax, thanks to its high-speed 33.6Kbps modem. 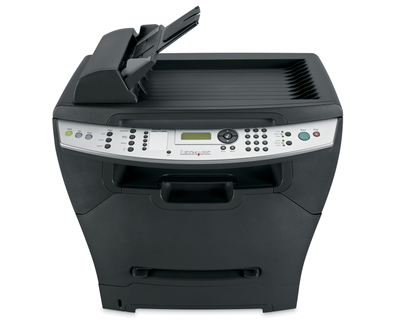 Just load a stack of originals into the 50-sheet Automatic Document Feeder, press one of the 10 speed-dial buttons, and let the X340 go to work for you!